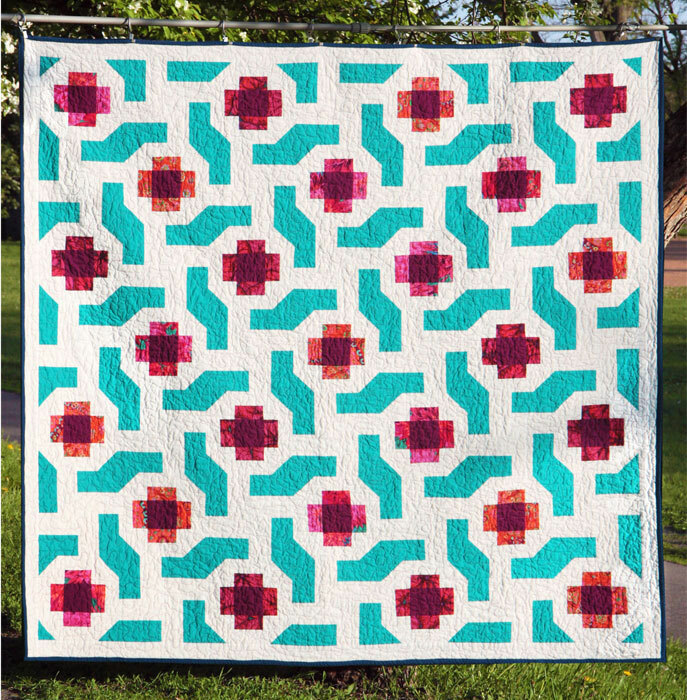 For this quilt, I wanted to make a pretty flower quilt with a summery lattice and sky background. This is a double-sided quilt. The other side is my Inkling pattern.